Asus VE228TR Mercury-free LED-backlit panel full HD (1920x1080) 21.5-inch monitor has extraordinary key controls & 5ms response time to maintain set-up in the multi-language OSD. The Splendid Video Intelligence technology optimizes video performance and image fidelity by enhancing color, brightness, contrast, and sharpness. ASUS Smart Contrast Ratio of 80000000:1 and 250cd/m² of brightness for excellent visuals. This device featured with VESA Wall Mount Standard & 25° (forward 5°, backwards 20°) tilting angling design for spontaneous movement and height adjustment. It also has built-in hidden stereo speakers, Cable manager & KENSINGTON Security Lock to make it suitable for home and office. 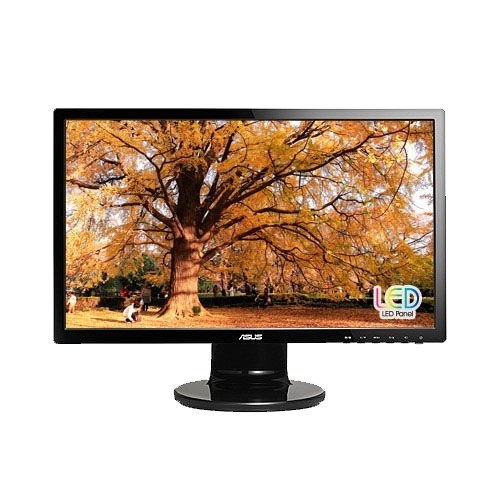 This monitor serves the purpose very well having Full HD quality in low budget and we offer the best price in Dhaka, Chittagong, Rangpur & Sylhet. Now you can order this brand-new monitor with 3 years of warranty facility from our website site and our online delivery channel will deliver this at any place inside Bangladesh.